A Natural Treatment Based on the Medical Practices of the American Hopi Indians Fantastic Cleaning and Curative Effects on the Ears and Sinuses – You Should Try It. 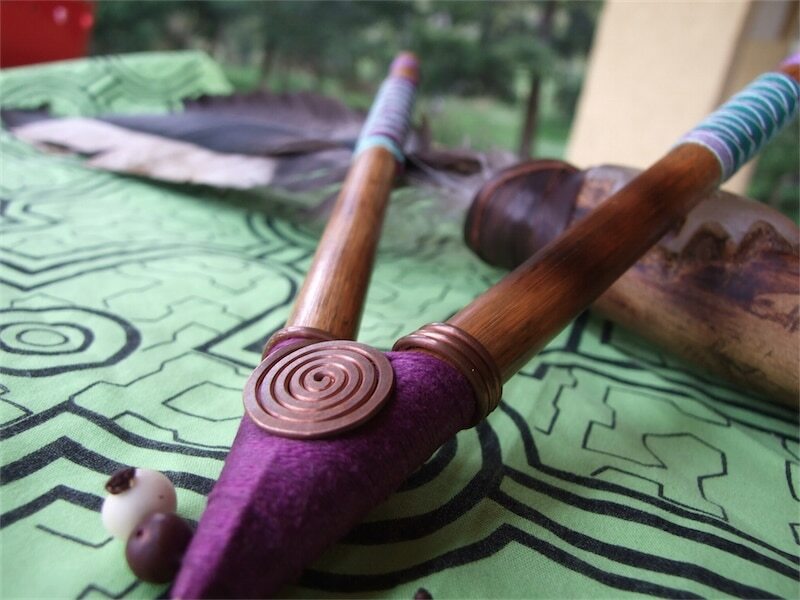 The practice of this ancient, gentle and natural therapy, originating in Asia, was also used by Indians in all the Americas. In modern times, tthe North American Hopis and Cherokees, as well as Mexican Indians, are still using candle therapy to heal. Through the Hopis, a people who were distinguished by their extensive knowledge of many healing methods and their great spiritual maturity, knowledge of candle therapy reached Europe. The therapeutic herb candle is shaped like a tube. Its length and diameter are tailored to the size of the ear opening and necessary burning time. The candles are made according to traditional Indian recipes. They are hand-made of linen fiber, selected honey extract and wax. Their most important medicinal ingredients are essential oils and powdered herbs, in an amount and composition chosen according to Indian tradition. Naturally growing herbs are used in their production; continuous quality control precludes the possibility of radioactive contamination. Treatment Results – How Does The Ear Candle Application Work? 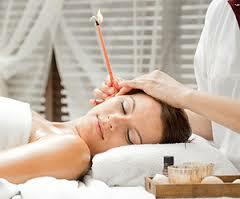 As the candle is burning, a vacuum is created in the ear canal. It is caused by what is called the chimney effect and leads to a perceptible regulation of sinus pressure. Over 90% of patients, describe a lowering of pressure, a “lightness” – a feeling around the ears and in the head, as the main effect of the treatment. Circulating pressure (called the current of pressure) supplies concentrated steam enriched with herbal substances to the interior of the ear. The treatment of irritated areas is the result. What’s more, the vacuum current draws out deposits and dirt from the ear. During the burning process, the heating up of the silver disc casing conducts a gentle, relaxing current of heat and herbal oils to the inside of the ear. The locally supplied heat causes the stimulation of the peripheral blood pressure, which boosts the immune system protecting the given spot and increases the frequency of lymphatic circulation. The heat stimulates the energy points of the ear and causes the correct circulation of energy. The entire process is pleasant and effective. Everyone should try this treatment.